My paternal grandmother, Nettie Mae Pate Brown, was born near Amboy. I’ve never known a whole lot about the family history, or which Pates in the area I’m related to, but I was very excited to find this old landmark. It’s amazing that in all the miles I’ve covered with Vanishing South Georgia that I had never been to Amboy proper before. It’s just a few miles from Rebecca; it goes to show how some of the nicest places can be right under your nose and it can take you forever to find them. Tim Wise writes: …The Pate store is a blast from the past. I grew up at the church you listed and remember Mrs. Pate, the owner, as one of the nicest country people you will meet. Full of “sugars” and “oh honey” types of language. I plundered around this store a great deal and it’s very interesting on the inside. It used to house jeans and boots. It served as a polling place for a long while. 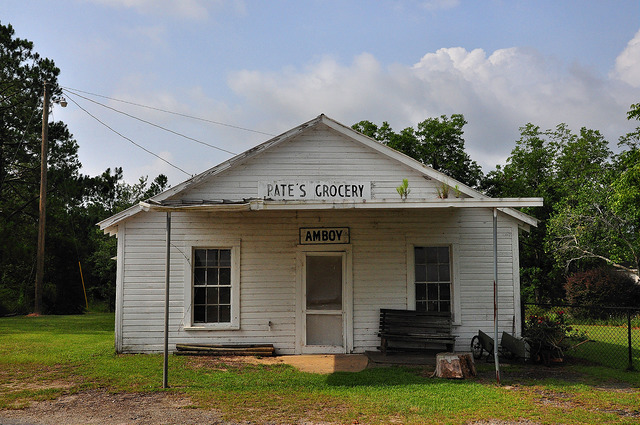 James Dean notes: I am pretty sure that the ‘Amboy’ sign above the store was the sign on the Amboy railroad depot. Many years ago (late 1950’s or early 1960’s) the Amboy depot was moved across Georgia Highway 159 from the store. 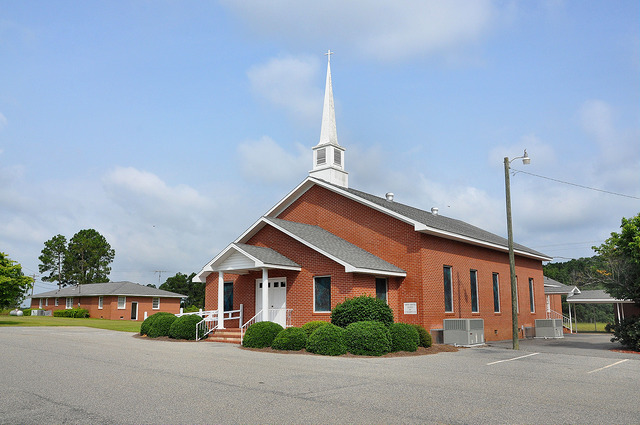 This congregation dates to 1905.